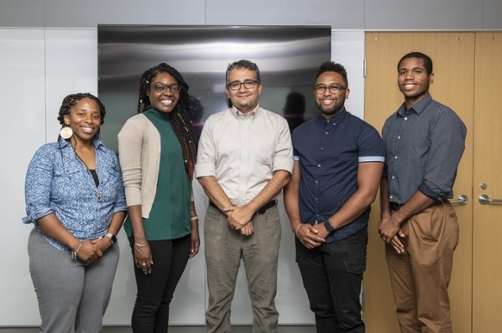 In partnership with colleagues across the university, the VPF helps to develop policies and practices that attract and retain diverse, world-class scholars in all of Carnegie Mellon's fields and disciplines. The current Vice Provost for Faculty is Kathryn Roeder, who was appointed in June 2015 by Provost Farnam Jahanian. This website acts as a central repository for guidance on issues that directly affect CMU faculty, hosting resources that might be useful throughout every stage of a faculty member’s life, including orientation, leaves of absence, tenure and promotion, and retirement. We are committed to assisting CMU faculty throughout their careers and we encourage you to bring your questions and concerns to the attention of this office via our Contact Us page. These guidelines allow for increased opportunities for women and underrepresented faculty to engage in high-level opportunities on campus, ensuring our diverse community see people like themselves represented in prestigious settings. The objective of the Guidelines for More Equitable Service Loads is to complement the INDICATOR Guidelines by ensuring a more even distribution of service work, particularly for women and underrepresented faculty members. Read the More Equitable Service Loads Guidelines. Advancing excellence through faculty diversity. In 2017, we joined in a collaborative partnership with the University of California to offer postdoctoral fellowship opportunities at CMU in order to encourage outstanding women and minority Ph.D. recipients to pursue academic careers at Carnegie Mellon. We offer the potential for postdoctoral research fellowships in all fields represented at the university, coupled with faculty mentoring, professional development, and academic networking opportunities. Learn about Kevin Jarbo's, Alexandra To's, and Phoebe Dinh's work with the Pittsburgh Racial Justice Summit. The summit took place on Jan 25-26, 2018; get involved with the Racial Justice Summit, and read the full article here. "Women and girls are increasingly encouraged to pursue STEM careers, potentially leading to greater gender diversity within research organizations. While Stanford historian Londa Schiebinger sees that as a positive step, she wants those organizations to go further by also supporting the changes to research itself brought on by the greater diversity." Read the full article here. New research says some straightforward interventions are effective in addressing faculty workload disparities. Read the full article here.